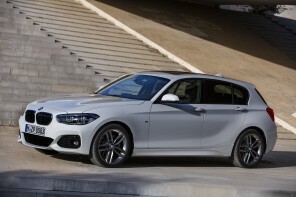 Official Release: 28 March 2015 sees the curtain raised on the market launch of the new BMW 1 Series. Fans of compact driving pleasure can look forward to an even more striking design, a further refined premium ambience for the interior, engines that are extremely powerful and even more efficient, and innovative equipment features. 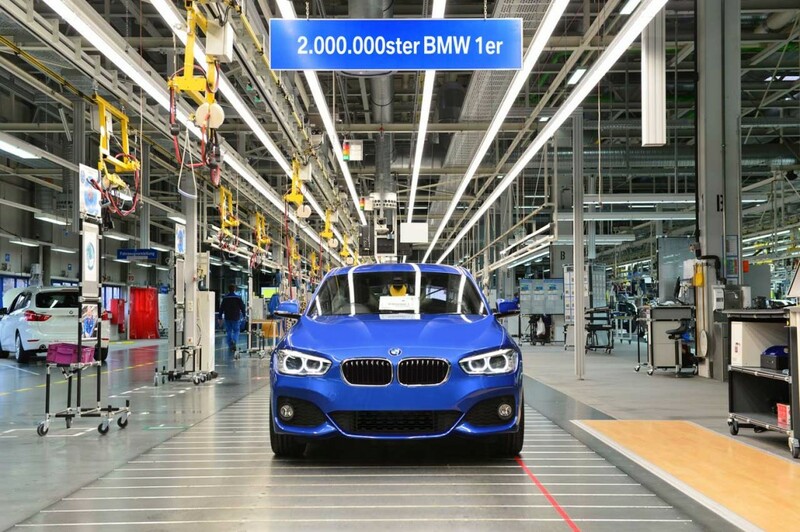 Ahead of the launch, news filtered through from BMW Plant Regensburg of another reason to smile as the two-millionth BMW 1 Series rolled off the production line. The landmark car was built just a few days after the start of production for the new version of the compact model and is one of the first examples of the new BMW 1 Series range earmarked for export to Asia. The BMW 120i 5-door, painted in Estoril Blue metallic and equipped with an M Sport package, will be delivered to a customer in Japan. This production landmark at BMW Plant Regensburg represents another milestone in the international success story of the BMW 1 Series. In late summer 2014 the company celebrated the model series’ tenth birthday. And now the leap beyond the two-million-unit mark provides further evidence of how the attraction of BMW’s hallmark driving pleasure has spread to the compact segment as well. At its premiere in 2004 the BMW 1 Series became the brand’s first model to reconcile sporty and elegant design, dynamic driving properties and premium quality with the functional attributes of a compact 5-door model. Boasting superior powertrain and chassis technology and the rear-wheel-drive configuration that remains a unique selling point in the compact segment, the BMW 1 Series has since set the benchmark for sporting ability in its class. At the same time, it regularly serves as a trailblazer for the latest BMW EfficientDynamics technology, which ensures the new BMW 1 Series, too, offers an impressive balance between driving pleasure and fuel consumption. 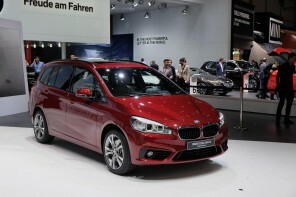 The new edition of the BMW 1 Series will be offered in both 5-door and 3-door body variants. The BMW 1 Series 3-door is built exclusively at BMW Plant Regensburg, the BMW 1 Series 5-door additionally at BMW Plant Leipzig. 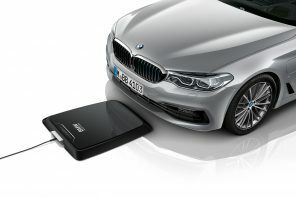 Both models can be ordered with a selection of powerful and highly efficient petrol and diesel engines featuring BMW TwinPower Turbo technology, including units with three and four cylinders from the BMW Group’s latest generation of engines and a six-cylinder in-line engine with M Performance TwinPower Turbo technology. The new BMW 1 Series (fuel consumption combined: 8.0 – 3.4 l/100 km [35.3 – 83.1 mpg imp]; CO2 emissions combined: 188 – 89 g/km) therefore covers an output spectrum ranging from 80 kW/109 hp to 240 kW/326 hp. The BMW M135i M Performance Automobile is a ticket to outstanding dynamics, while the 85 kW/116 hp BMW 116d EfficientDynamics Edition leads the way in the efficiency stakes with average fuel consumption of 3.8 – 3.4 l/100 km (74.3 – 83.1 mpg imp) and CO2 emissions of 101 – 89 g/km in the EU test cycle. 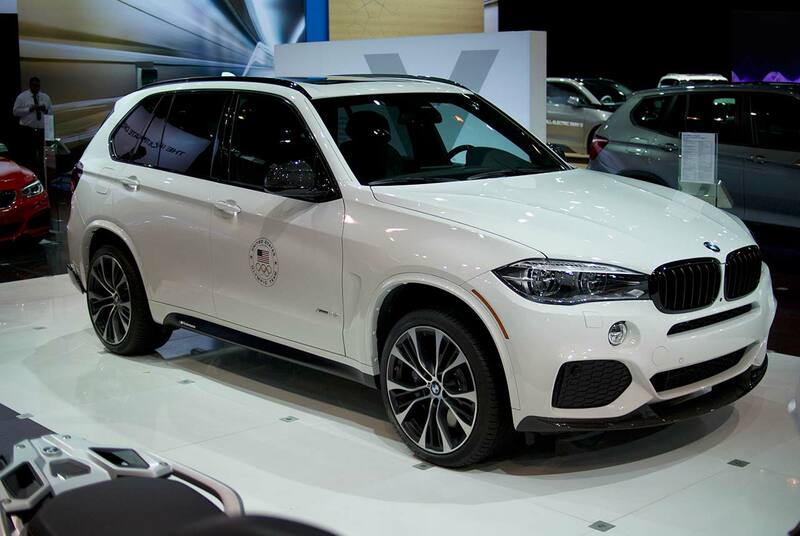 The BMW M135i, BMW 118d and BMW 120d can all be specified as an option with BMW xDrive intelligent all-wheel drive. Other highlights of the equipment listings for the new BMW 1 Series include the standard-fitted iDrive operating system, full-LED headlights (available as an option for the BMW 1 Series for the first time) and the latest additions to the BMW ConnectedDrive line-up. As well as the radar-based Active Cruise Control system with Stop & Go function and the new-generation Parking Assistant, features such as the camera-based Driving Assistant are also available. The progressive character of the new BMW 1 Series range is likewise underlined by the standard provision of the Intelligent Emergency Call function and BMW TeleServices. The optional Navigation system Professional also offers automatic map updating (using the embedded SIM card and mobile phone network), which is free of charge to customers for the first three years following registration of the car. Also benefiting from further expansion is the array of internet-based information, communication and entertainment services, which the driver can integrate into the car with the help of apps either via the integrated SIM card or using a smartphone.